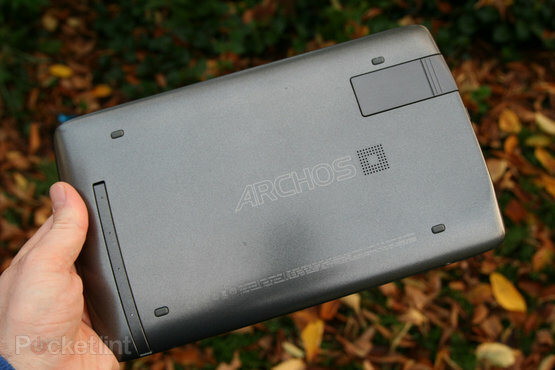 Archos were making "tablets" before the majority of manufacturers had even considered it. It had large screen devices before the birth of the iPad and before Android even existed. Of course they were called portable media players in those days, and it was a slightly messy business involving software packs and docks. But can experience in portable media devices give Archos the edge they need in this competitive market? Can their blend of affordability and media handling result in a package with universal appeal? 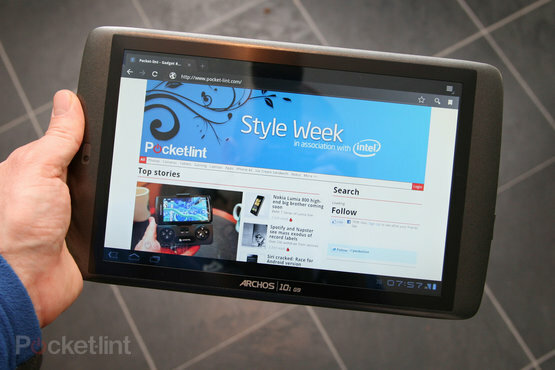 Beginning with design, as we so often do, doesn't get the G9 Archos tablet off to the strongest start. The choice of plastics reminds you that this has been designed to a price point and although there are some interesting twists, it doesn't really manage to stand apart from other budget tablets. 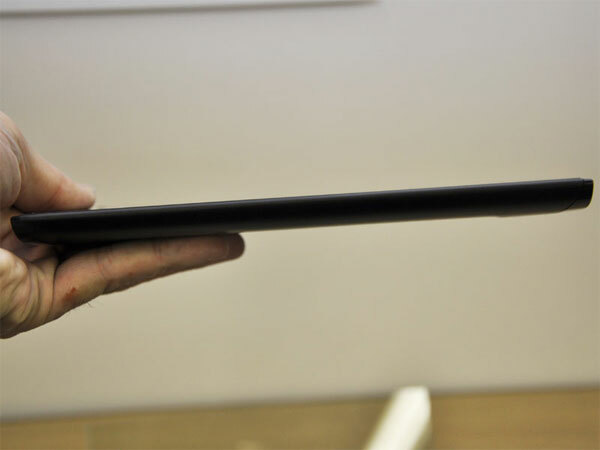 The tablet itself measures 276 x 167 x 12.6mm - for the 8GB version, the hard-drive-equipped models are slightly fatter. Surrounding the 10.1-inch display is a black bezel, before you get to the silver-grey casing, which all seems a little unnecessary. The two halves of the body join around the edges and it's a little unsightly and hard to miss, considering that all the ports fall along this line too. In terms of physical connection you are served rather well, with a mini HDMI, 3.5mm jack and Micro-USB, which also serves to power the device. Before you get too excited, we found that we had to use the supplied charger and connecting it to a PC resulted in a "slow charge" which barely got us anywhere. It seemed slow to charge too, even connected to the mains, with the battery percentage clawing it's way up the scale. 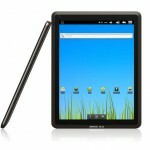 Our reference tablet, the Motorola Xoom charged, from flat, far quicker. The microSD card slot is easy to miss, sitting beneath the Micro-USB and it's a shame that the card doesn't fit in completely. As it's a sprung socket, if you knock the end of the tablet we can see the card flying out. Around the back of the G9 is where the biggest differentiator lies. 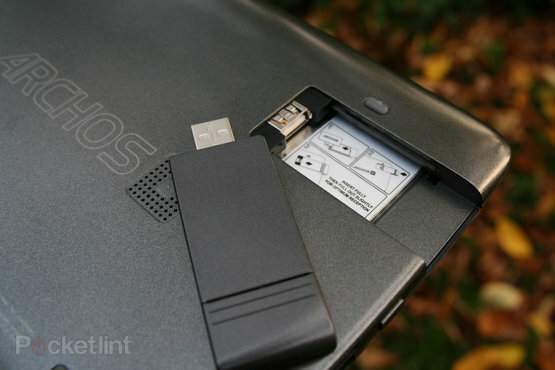 A panel slides off to reveal a bay with a USB connection, designed to take Archos' 3G dongle. The idea is that you can buy the tablet and then get the dongle separately (?50) if you decide you need it. Being a USB device it will work with your laptop, but when in place in the back of the tablet it is fully integrated, which is smart. The display itself isn't firm to the touch like many tablets are, but is slightly soft. We also found it difficult to clear of smears, with Archos bundling a cleaning cloth in the box to aid this process. It's very reflective too, so viewing outdoors or in bright conditions is a bit of a challenge. So overall the design, the finish, the look and feel of the tablet leaves a little to be desired. But that's to be expected from a tablet at the lower end of the price scale and this is the territory that Archos has so often inhabited. 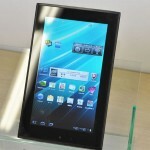 This tablet costs ?269.99 and it's the exterior design that really reflects that price. Delve inside the tablet and things take a turn up for the books. It runs on a dual core Texas Instruments OMAP4 processor (the reference hardware for the next generation of Android, Ice Cream Sandwich), our version came with a 4430 1GHz chip, but with ungraded versions arriving in 2012. This is a point not to be missed, as if you buy now, you might find you get a slower tablet than if you wait a few months. You get 1GB of RAM sitting in support, and a wealth of options when comes to storage capacity. Again, this is one area where Archos is looking to differentiate and has put a lot of time into making sure their G9 tablet supports a 250GB hard drive option. We only had a regular 8GB flash drive, but with microSD being so cheap, it's easy to expand the capacity. The display itself has a resolution of 1280 x 800, so gets that HD tick. 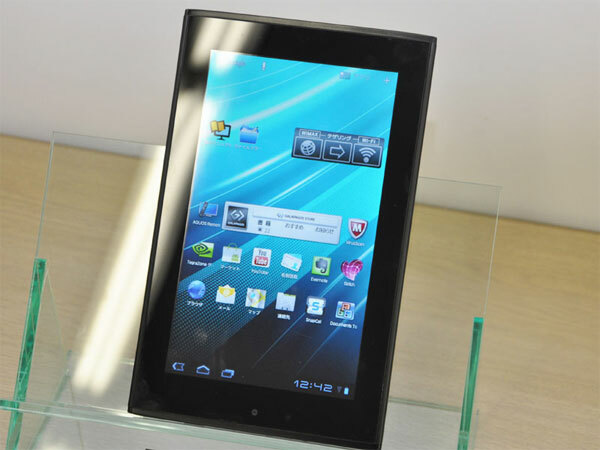 It offers a pixel density of 149ppi, which is entirely typical for a tablet of this size. As we’ve said, the surface does get rather smeary and it is a little soft, but it is nice and colourful. And surprisingly, the viewing angles are reasonable too, with colour and brightness holding up when you're not looking straight on, which is commendable. There is a single speaker on the rear of the tablet, which does get muffled if you lay it down flat, but offers acceptable performance when using the kickstand - another fairly rare feature. As such, you can prop the tablet up and watch your movies, be that on the tray table of an aircraft, or in your hotel room. There is no rear camera, one of the measures taking to keep the cost down, but there is a front camera for video calling. There is no light sensor on the front either, so you don't get auto-brightness as an option, which can have an impact on battery life. 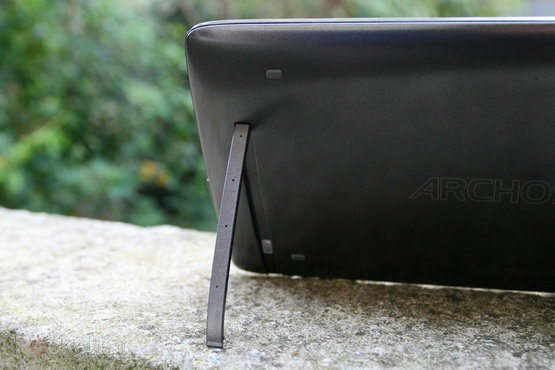 Stealing Archos' own tagline, let's move on to examine what is ultimately the greatest strength of the Archos G9 tablet. If supports a wide range of video and audio codecs, with Archos boasting that it will play just about anything. We threw our regular set of test video files at it and it didn't struggle with any of them, which means it covers the likes of DivX HD and 1080p MPEG4 files as well as many of the weird and wonderful formats you may have collected over the years, from cameras, camcorders, phones, downloads, rips and so on. In the past you had to pay for various upgrades and codec packs but this is no longer the case. The only pack you would have to pay for is MPEG2 and AC3 5.1, but otherwise, support is extensive. 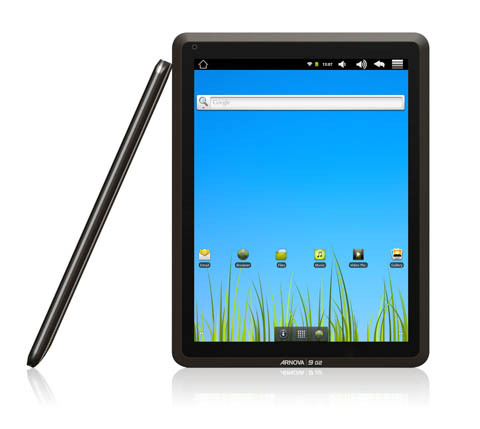 Multimedia is supported by integrated streaming capabilities, so the Archos tablet will happily explore sharing computers or media drives and stream content from them. When combined with the HDMI out, this effectively means you can bring content from pretty much anywhere to your TV. 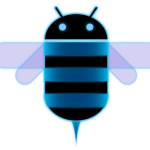 We like the way this has been incorporated into the music and video players, as well as the file explorer app, so you get the feeling that external sources are incorporated, rather than just an afterthought. This isn't unique, as an app like Skifta will happily stream in the same way on any Honeycomb tablet. One thing that is unique, however, is the remote control. 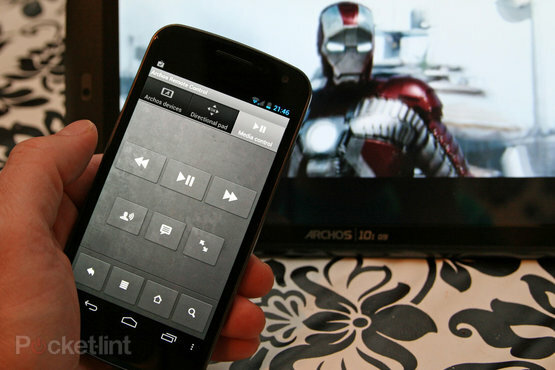 Archos have a free app, which will turn your Android phone into a remote control for your tablet. You might wonder when you'll ever need it, but if you do connect it to larger screen then it really comes into its own. The remote is smart because all you have to do is enter the code from your tablet into the phone to pair them. It operates over Wi-Fi and gives you a range of controls, importantly letting you control things like media playback. Device navigation could be better, but as a free offering we're grateful for the effort. What's more impressive is that the phone's volume can also be used to change the tablet volume, although if you're hooked into your TV this will probably be of less use. We did run into a problem with Flash video playback, and this is the first tablet we've encountered it on. Flash video refused to play, although we got the soundtrack. Heading into the BBC iPlayer website, we found the video wouldn't display and the same happened elsewhere. This looks like some sort of software problem and we doubt Archos will let this last for long. Both Music and Video get their own customised players, which offers a carousel type navigation on one half of the screen with more regular navigation on the other. Both can also be broken out into widgets and is essentially all the customisation that Archos has done (apart from the tweaks necessary to manage their 3G dongle). But then the build issue rears its head again, as we found that the 3.5mm jack wasn't quite right. Inserting the plug of our headphones all the way resulted in poor sound, withdrawing it slightly improved the quality no end. We tried a couple of different pairs of headphones, so can only guess this is some sort of connection problem in the socket itself. Running Android 3.2 (at the time of review) we found the tablet was mostly stable, but on occasion we found that apps would stop responding or refuse to launch. It wasn't to a critical degree and this seems to be something that has afflicted many Android tablets to date. But it did seem slow to unlock at times and opening the settings menu sometimes took multiple taps. You don't get the sense of immediacy that some other Android devices offer and on occasion we found the tablet become completely unresponsive. Fortunately the power/standby button is labelled so you know you have to hold it for 10 seconds to force a restart, perhaps an admission that you might find yourself doing so. Other little oddities, like occasionally missing a keyboard touch sound when typing, make the G9 feel as though it needs a little more attention on the software front before it will deliver the best experience. We've already mentioned that the battery seemed slow to charge. The G9 tablet got surprisingly hot when playing back video and we found that it did get through battery fairly quickly. It also didn't last as long as our Xoom. Video playback is officially listed as 7 hours, although we suspect you'd need to take some power saving measures along the way to hit this figure. One of the key power saving measures in Honeycomb is the option to turn off Wi-Fi when the screen is off. On the Archos tablet, this option now incorporates switching to 3G, so it wasn't clear to us whether it was disconnecting or not. Certainly, sitting in standby, to got through the battery faster than we'd expect it to. Android tablets are something of a minefield. The unique proposition of the Archos tablet is that it delivers the Honeycomb experience at a price that's hard to beat. 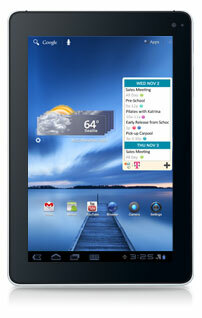 It also, undoubtedly, offers the widest diversity of format support in any tablet we've seen so far. It is indeed a capable video playback device and if this is high on your list of priorities, then the Archos G9 should be up for consideration. But this needs to be balanced against some software oddities that drag the experience down, battery life that doesn't quite seem right and build quality and design that is universally bettered by other Honeycomb tablets. If it's a general Android tablet you're after, then finding a little more cash will reward you with one of the best Android tablets of 2011, in the form of the Asus Eee Pad Transformer. Overall Archos should be commended for trying and succeeding to deliver something a little different, but if wide-ranging video support isn't top of your agenda, you'll find that the G9 lacks the desirability of other devices. 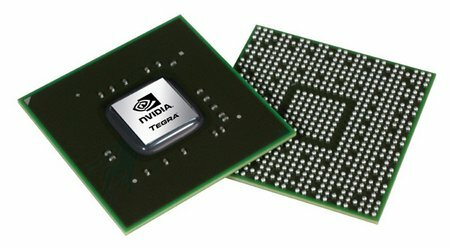 Popular Science has revealed their annual “Best of What’s New” list, and NVIDIA’s dual-core Tegra 2 chipset has been honored in the “Gadgets” category. 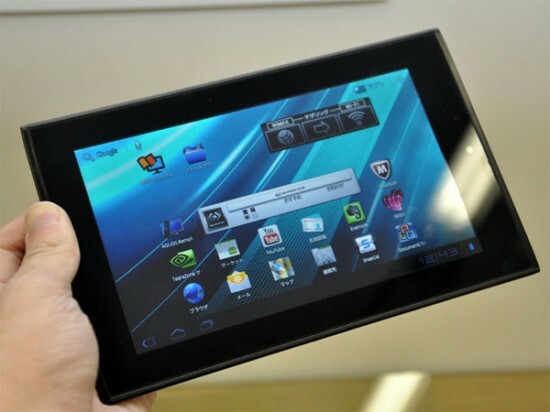 The Tegra 2 chip was a real breakthrough this year, quickly becoming the top choice for companies developing top-of-the-line Android tablets. It was used as the reference chipset in the debut Honeycomb slate, the Motorola XOOM, and has since made its way to smartphones. Other chipset makers have followed suit and arguably outdid NVIDIA, but there is little arguing with the game-changing results the Tegra 2 brought about. Other Android-related items featured in the “Gadgets” selections are Verizon’s 4G LTE network, Google Wallet, and a surprising Kyocera Echo The latter was an innovative design, but not much else. Before there had even been a “Honeycomb,” Sharp impressed me with a couple of its Galapagos tablets. The software was quite decent for an Android tablet at the time, though the advent of Honeycomb has obviously overshadowed that and many other interfaces. Sharp’s looking to take another stab at the tablet market, though. New photos of a 7 inch device running Honeycomb have appeared. It doesn’t look much different from similar offerings and it’s just as similar to competing devices internally. 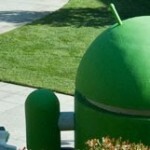 1GB of RAM and a dual-core Tegra 2 processor power Android 3.0 (could be 4.0 down the line). We’ve also got a 5 megapixel rear camera, a 2 megapixel front camera, 8GB of internal storage which can be expanded via microSD slot, Bluetooth, WiMax and HMDI out. This is not the Microsoft Surface version with Android, but an entirely different story… This is actually a huge TV with 65 inch diagonal and support for 1920 x 1080 pixel resolution. Plus, it’s running Honeycomb, unlike any other television set out there. Turkish company Arctic Technology is responsible for this product and this prototype is a one of kind unit at this time. A lot of work went into the resolution boosting, video output and making the touch input to work on this huge display. The result is sort of a giant tablet with multitouch control and even the Android games that people love so much, like Fruit Slice. A mere Tegra 2 CPU is behind all of this, plus 1GB of RAM, so the scalability in Android is to be admired. 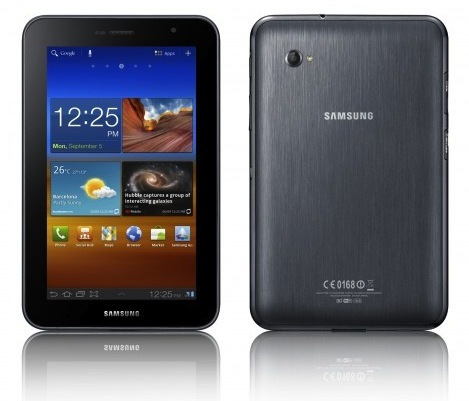 The system involves a normal tablet, that looks like a Galaxy Tab 10.1 or XOOM model, that once placed in a dock syncs instantaneously with the huge TV. Motorola may be aiming at this, as they’re known for their lapdock integration. While rumored release dates for the T-Mobile Springboard have continuously failed us as we approached each respective one, it looks like the rumored November 16th date is going to be it. Today, units of the Honeycomb tablet from Huawei began arriving in T-Mobile stores, meaning they could go on sale today if T-Mobile wanted them to. That won’t happen, of course, so we’re all just going to have to be patient. When the Motorola XOOM first launched it wasn’t exactly selling like hotcakes. 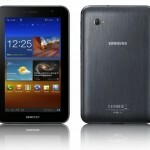 Blame it on the excessive price tag initially assigned to the world’s first Honeycomb tablet. 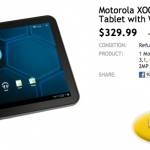 With the Motorola XOOM 2 recently announced, now would seem like a perfect time to snag the late model at a bargain price, right? Right. 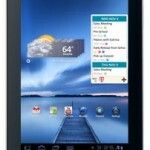 Today’s woot.com deal can get you the 32GB version of the dual-core Tegra 2 slate for only $329.99. The catch? You are paying for a refurbished (by Moto) device. If you don’t mind being one iteration behind and the idea of using a refurbished unit doesn’t scare you off, the original XOOM still makes a great tablet. For the price, you really can’t argue with that.